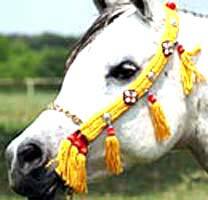 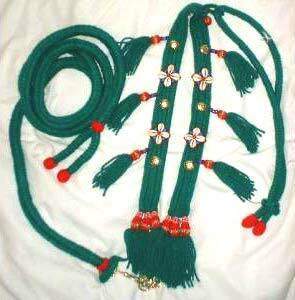 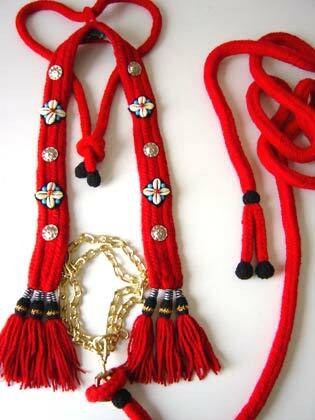 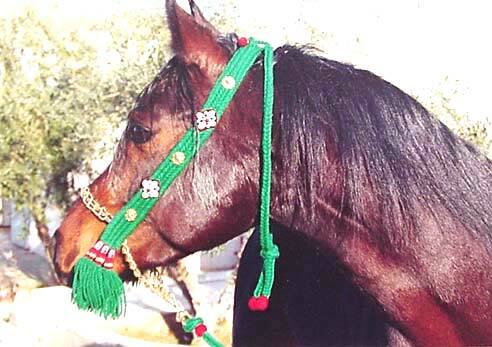 This range of our halters are a common Bedouin classic style which is widely used. 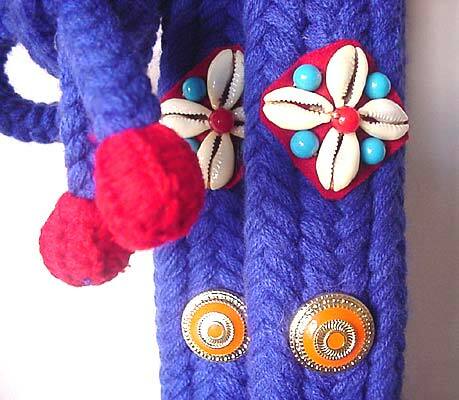 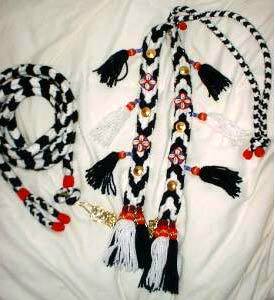 They are woven from high-quality, ultra-soft wool, and as with all our offerings they are beaded and decorated with cowries and other adornments. 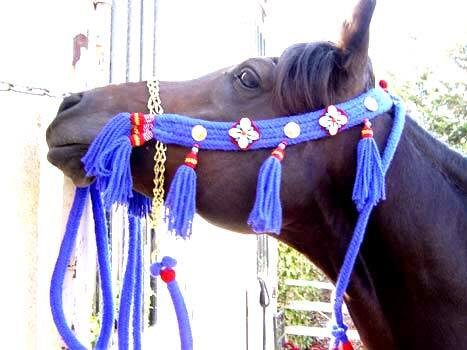 Each Elegance halter is finished with a two groups of tassels, one on each side of the noseband. 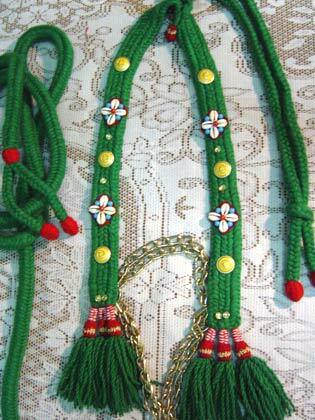 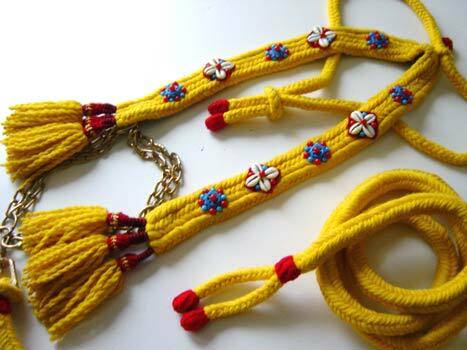 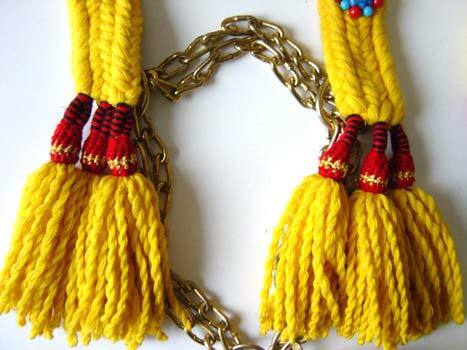 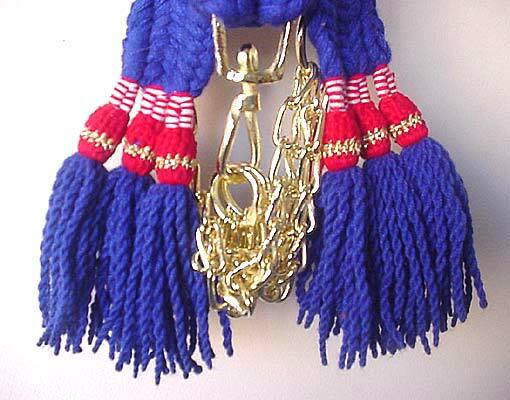 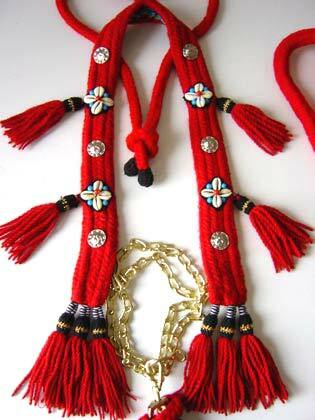 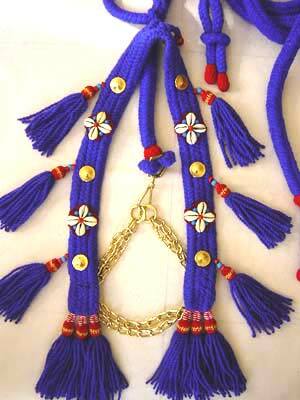 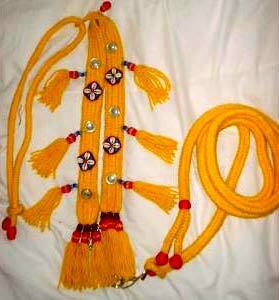 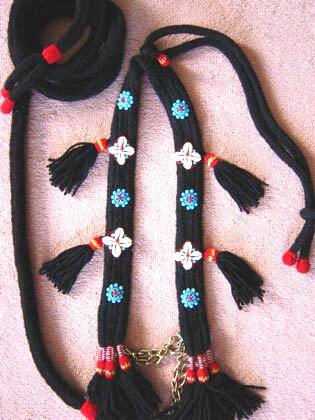 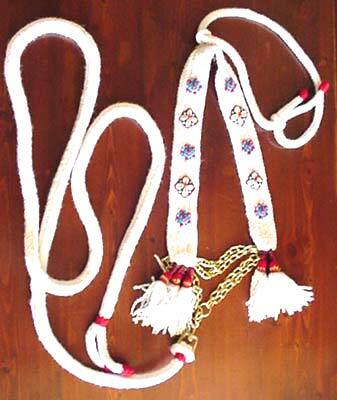 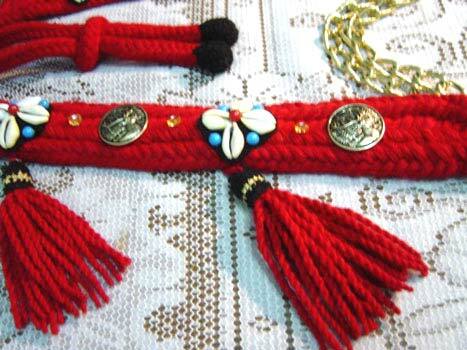 Tassels are braided, with the top gathered and secured by gold threads. 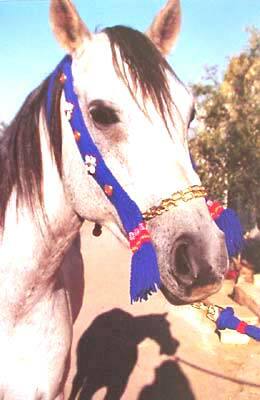 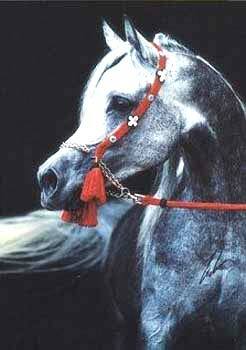 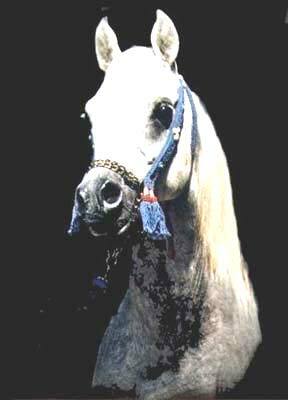 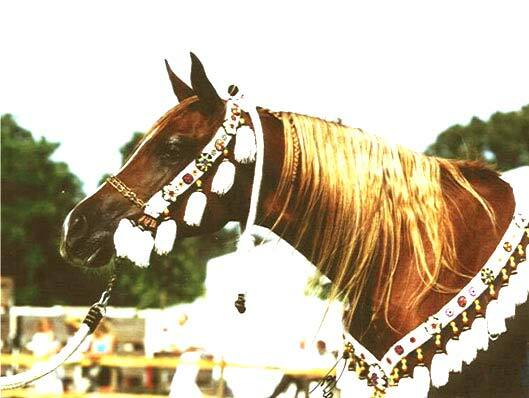 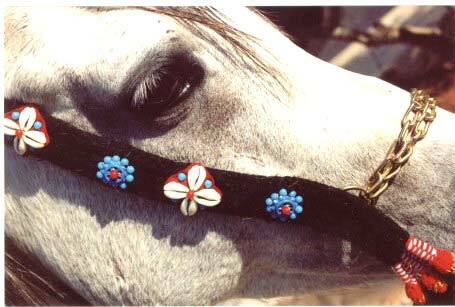 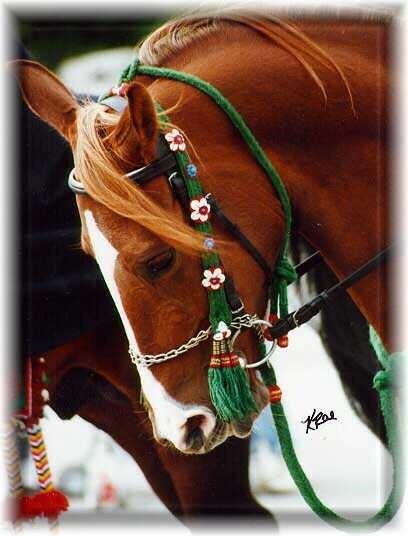 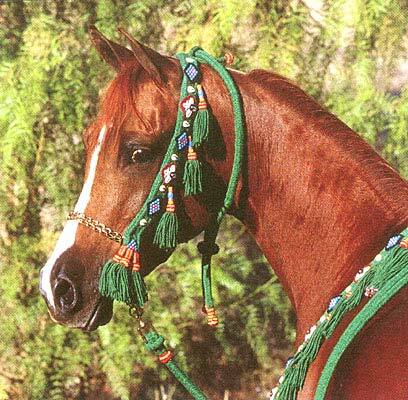 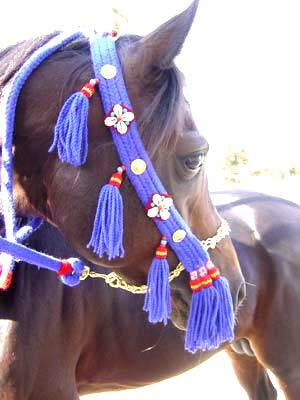 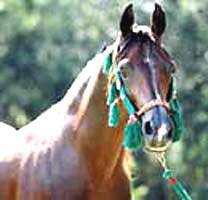 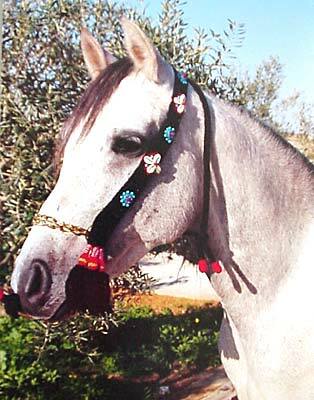 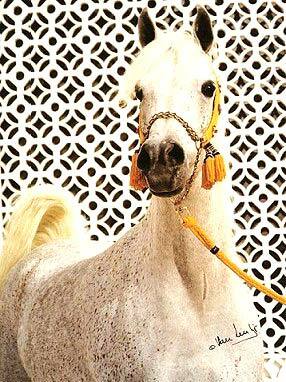 Every Bedouin halter comes complete with a lead, throatlatch and a nose band with normal chain. 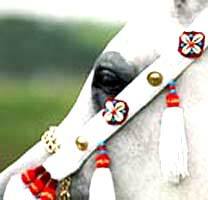 Note, these halters are constructed with tassels on the ends only, but up to three extra tassels may be added to each cheek piece of these halters as seen above - please contact us for specific inquiries or special sizes.